Would you like your pet microchipped while under anesthesia today? *Vaccine Status: All patients staying with us in the clinic must be up to date on all vaccines. Any vaccines needed will be performed at the veterinarian's discretion. *Parasites: All patients staying with us in the clinic will receive a Capstar pill and must have a negative intestinal parasite screening within the last six months. An intestinal parasite screen will be performed if needed. We want to ensure our clinic, your pet, and your home is flea and parasite free! *All patients are required to have a blood work panel performed within 30 days of any anesthetic procedure. This panel is for the safety of your pet and will allow the doctor to make changes to protocol if any abnormalities are found. 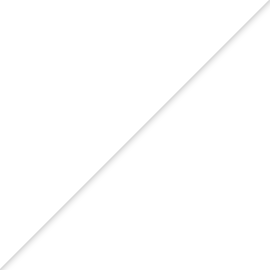 *All patients will have an IV catheter and fluids during an anesthetic procedure. Fluids maintain proper hydration and support your pets system. The intravenous catheter allows for direct venous access, which is especially important if an anesthetic crisis occurs and your pet is in need of life saving medications. Have my permission to perform necessary procedures or treatment. Do not have my permission to perform necessary procedures or treatment. As the owner, or authorized agent of the pet listed above, I hereby give my consent to the veterinarian(s) and/or trained veterinary personnel at Richland Animal Clinic to perform the necessary testing and/or procedures as listed above. While I trust the veterinarian(s) and veterinary support staff to use reasonable care and judgment in performing the procedure(s), I understand that during this process, emergency, or unforeseen conditions may make it necessary for the veterinarians(s) and/or support staff to perform additional procedures, or modify current procedures that are in my pets' best interest. While I expect all procedures to be done to the best of the abilities of the professional staff, I understand that no guarantee or warranty has been made regarding the results or cure. I understand that I assume financial responsibility for all services. Payment is due in full at the time services are rendered. My signature on this form indicates that any questions I have regarding the procedure, recovery or potential complications have been answered to my satisfaction. 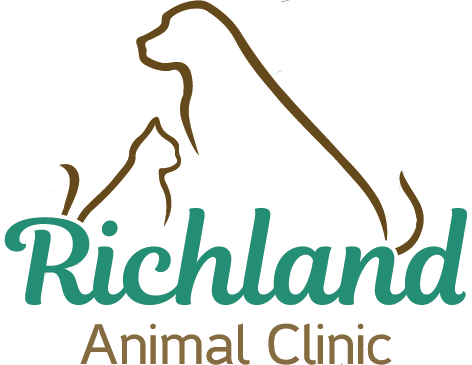 I understand if I abandon my pet and do not make contact with Richland Animal Clinic within ten days of the day my pet is scheduled to be picked up, the animal will be considered abandoned and may be disposed of as the doctor sees fit. 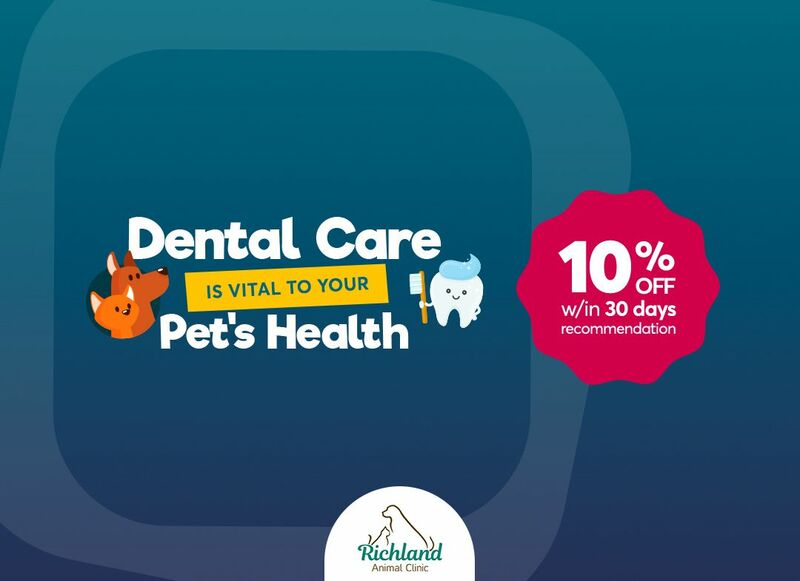 This does not relieve me from paying all costs of all services for the duration of the pets stay at Richland Animal Clinic, including boarding. I, being responsible for the above animal, have the authority to grant my consent to receive, prescribe for, treat and/or operate upon my pet.